There are lots of insights around the platform. Some of them point to issues, opportunities, victories or mere facts, that you might want to share with the team or the client. We’ve just enabled that. Next to the most relevant insights, you’ll find the “Share insight” button, that will create a shareable short URL, pointing to a new type of page, where the insight is emphasized. As this page can be accessed by anyone with the link, you can easily share it with the team and start discussing on the subject. 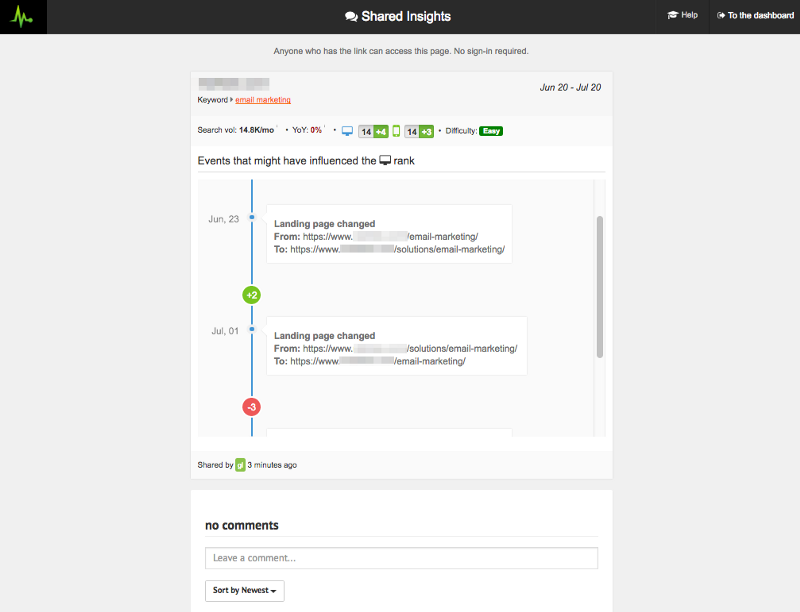 You’ll soon be able to access the list of shared insights as well. Once done working on an insight, you’d be able to mark it accordingly and consequently hide it from the list. This is only the start of the next big thing we aim to deliver, so your feedback is very important to us.